When it comes to home ownership, there are so many things to consider—location, property values, roofing, construction materials, the list goes on—that it’s easy to overlook issues that seem less glaring on the surface. Rain gutters might easily fall into the latter category. Gutters are not exactly glamorous or exciting, but they do an important job, and neglecting them can lead to trouble down the road. One of the newest trends is seamless gutters. Like traditional gutters, the job of seamless gutters is to funnel rainwater and other moisture away from the roof so that it doesn’t pool in undesirable areas. However, seamless gutters hold a few important distinctions. 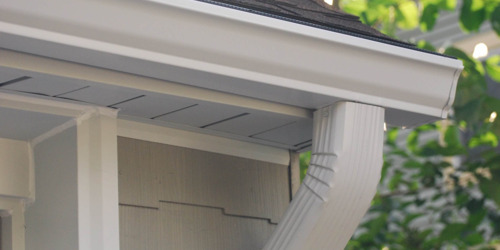 As the name implies, seamless gutters are not constructed with seams like more traditional plastic gutters. Since there are no seams, there are far fewer opportunities for cracks and leaks to form. This makes seamless gutters generally much more long-lasting and durable than other types of gutters. Since there are fewer opportunities for leaks, seamless gutters are also more effective for their purpose than the typical plastic gutter systems. They are more efficient at keeping water away from the foundation of the home, which is one of the most important jobs—if water is allowed to pool at the foundation, it can cause serious damage over time that requires much more expensive foundation repair. Mold growth is also a concern when gutter leakage is a factor. In addition to being more effective, seamless gutters are also more attractive. They are more flexible in the finishes and colors offered, which makes it easier to match them to your home, and they’re designed to be more pleasing to the eye than older styles of gutters. With the rising property and home values of the area, installing seamless gutters in Lafayette LA is a great choice in adding a little extra kick to the aesthetics and value of your home. Gutter maintenance may not be a flashy subject, but it’s one that’s often overlooked in the overall upkeep of a home. 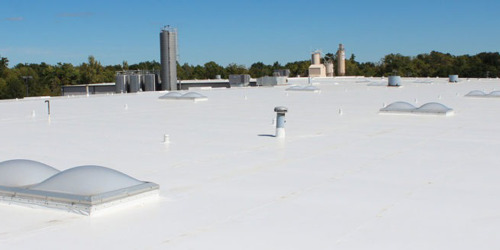 Consider working with professionals that provide seamless gutters Lafayette LA services, which save homeowners the time and physical labor required to complete this important but exhausting chore.